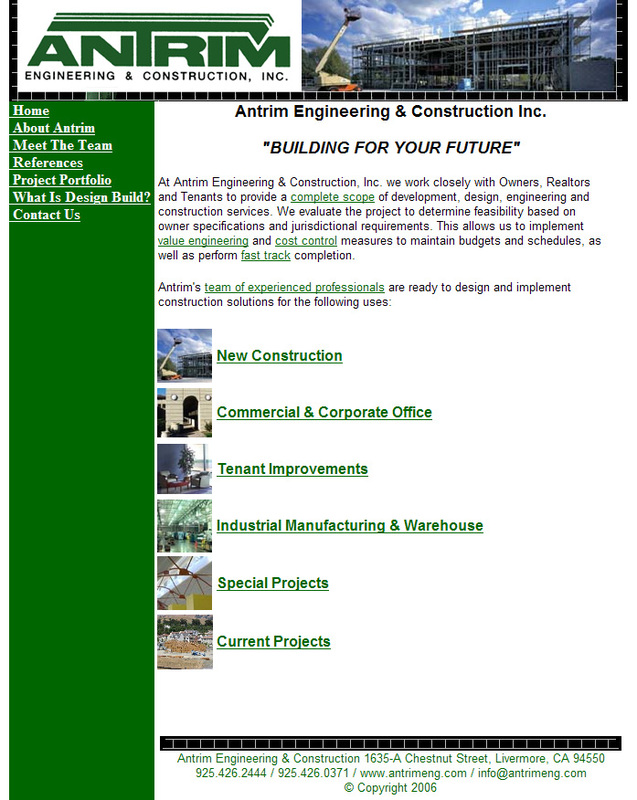 Antrim Construction is a Licensed Design-Build General Contractor specializing in commercial, industrial, remodel and insurance repair construction in the Greater San Francisco Bay Area and the Central Valley of California. 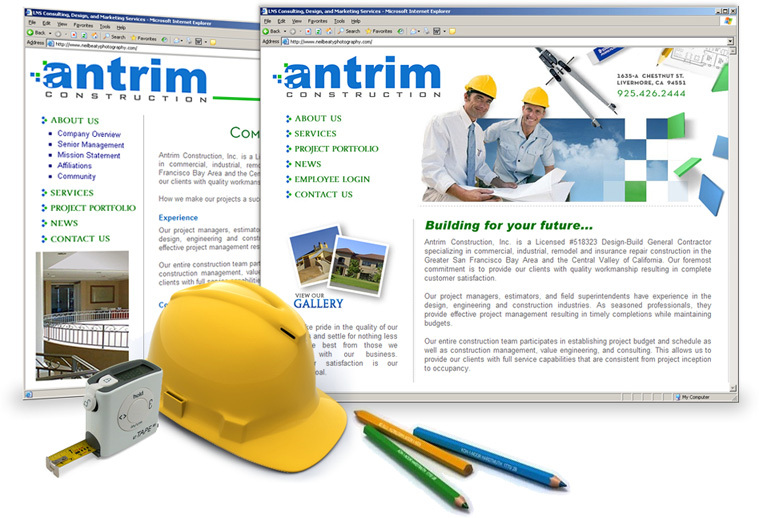 As a Design-Build contractor, Antrim Construction coordinates the needs and desires of Clients with the services of Architects, Engineers, Suppliers and Sub-Contractors to develop and interpret construction drawings and coordinate design issues, applying value-added principles throughout the process. 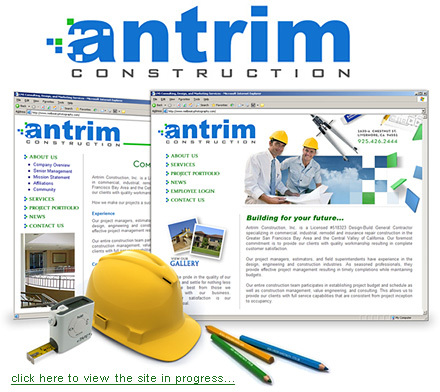 Antrim came to us with an outdated website in need of a new, polished, professional look that would more appropriately represent the high-end company they are and the clients they represent. Here's a look at their original site.